1. Thank You, Father, for giving us the least spiritual assignment of reaping the harvest of fields we did not cultivate, yet, receiving the accompanying wages. 2. Father, in anyway I have fallen short of your glory, please, have mercy and forgive me, in Jesus’ name. 3. Father, please, empower me to do Your Will and to finish Your work, in Jesus’ name. 4. Father, destroy by Your fire, everything in me, that is hindering me from rising for the salvation of others, in Jesus’ name. 5. Father, please, make me an unrepentant and addicted soul winner, in Jesus’ name. 6. Father, let every spirit of lukewarmness in my life and in the body of Christ against the preaching of the gospel of Christ, be consumed, by Your fire, in Jesus’ name. 7. Father, help me to be a friendly friend, in Jesus’ name. 8. Father, give me friends that will not come around to take advantage of our friendship, in Jesus’ name. 9. Father, for all my labours in Your vineyard, please, let me be rewarded abundantly here and in the hereafter, in Jesus’ name. 10. Father, please, help me to live through today, without committing a single sin, in Jesus’ name. 11. 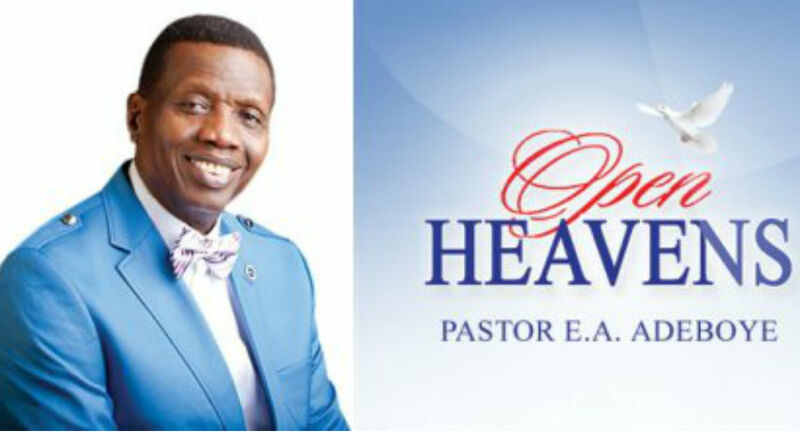 Father, supply all the needs of Your son, Pastor E.A. 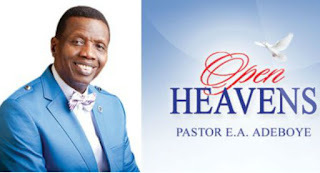 Adeboye, according to Your riches in glory, by Christ Jesus, in Jesus’ name.